Whether you run a multi-national business or small, local brand, it is important to reach your customers in an efficient way. The internet offers one of the lowest cost and most widely accepted ways in which to do so, and through that, there are several different methods that can be used. SEO is a favourite of many due to the fact that its organic and low-cost nature – when coupled with time and patience – can get your message in front of all relevant individuals. If you are obsessed with SEO but haven’t taken up blogging yet as a way to augment it, then continue reading to find out about the benefits that blogging can bring to your broader SEO strategy. Whenever you create content, you provide readers with a window into your brand. Even content that is off-topic or not directly promoting your brand has an influence on how people perceive it. This is why blogging for SEO is so important, as you’ll further control the narrative surrounding your brand. Not only will more content result in your website pinging servers on a more frequent basis, but it will also ensure that fewer people bounce off of your website after clicking on a single page. With the exception of brands that are so big that they cannot produce the most content about themselves, controlling the narrative through influence and content will ensure you are always ranked highest for searches about your brand. The more content you create, the more backlinks you can create as well. Whenever Google assesses websites, one of the most important things they look at is the number of backlinks or links shooting off of the website. If you only have a few links, then Google will view your website in a sceptical nature. If, however, you have hundreds of backlinks in place across various forms of content, then you will be viewed as an authoritative source on all content subjects you cover. This, in turn, will help your website rank better in search and ultimately be seen by more people. How can blogging help boost SEO and your social footprint? They all tie together. By incorporating social sharing options into your blog posts, you’ll increase the visibility of each post as it is shared by others. You’ll also – through this method and others – alert people to the fact that you have a social media presence on Facebook, Twitter and more. As more and more people keep pinging servers with your content, more and more people will see your blog posts and likewise become intrigued about finding you on social media. 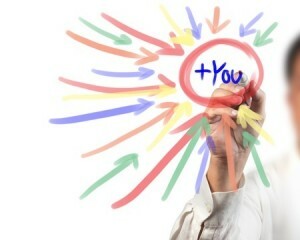 As more people tie into your social media presence, the effect is intensified. In addition to all of this, social signals are increasingly becoming a part of the SEO measurement process. Without social media, you may be missing out on valuable traffic in a number of ways. The benefits from embracing blogging – regardless of your brand’s mission – are obvious. Among them are the increase of traffic to and from your social media profiles and website, better rankings thanks to backlink presence and more influence over your own brand’s dialogue.